Social media has provided a momentous turnaround for the communications industry and the role of public relations. Once upon a time (not so long ago I remember), PR professionals worked with journalists and reporters to provide information, in an effort to create understanding and build a positive image of its organization. The audiences had little interaction with the ‘providers of information’, and had no real choice but to trust the source (i.e. the reporters). It was the journalists who were responsible for providing the most objective and honest viewpoint and for “controlling the conversation”. That is no longer the case. Today, the ‘audience’ has a choice to either accept or reject the information. In a recent study by Taylor and Francis, it showed how online forums allow journalists to “Diffuse part of their gatekeeping responsibilities to non-journalist commenters, empowering them as secondary gatekeepers to decide what content appears alongside the news.” In fact, in many cases, the audience or non-journalist commenters, actually provides the information itself. An example of this made its way on social media to me recently. 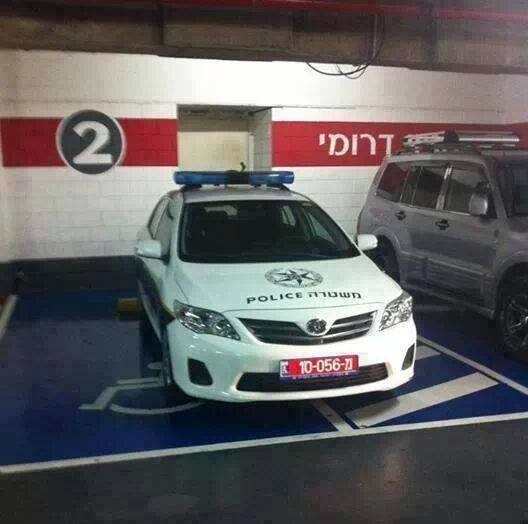 It was a photo of a police car parked in a disabled parking space. After approximately one year, the photo has been shared 29,486 times. The photo followed a series of negative press reports about the police brutality and scandals in the recent months. The most prominent recent case was the story that a soldier of Ethiopian lineage was beaten up by police officers. Such was the uproar that even the prime minister and president of the country become involved, inviting the soldier and members of his community. My guess is that after the story broke, the photo was recirculated as another example of the ‘dysfunctionality’ of the police force, reinforcing the negative image of the police. Controlling the image of an organization has become increasingly more challenging. As one finds strategies to build a positive image, and create an effective message, the audience itself uses those same strategies to contradict those messages. 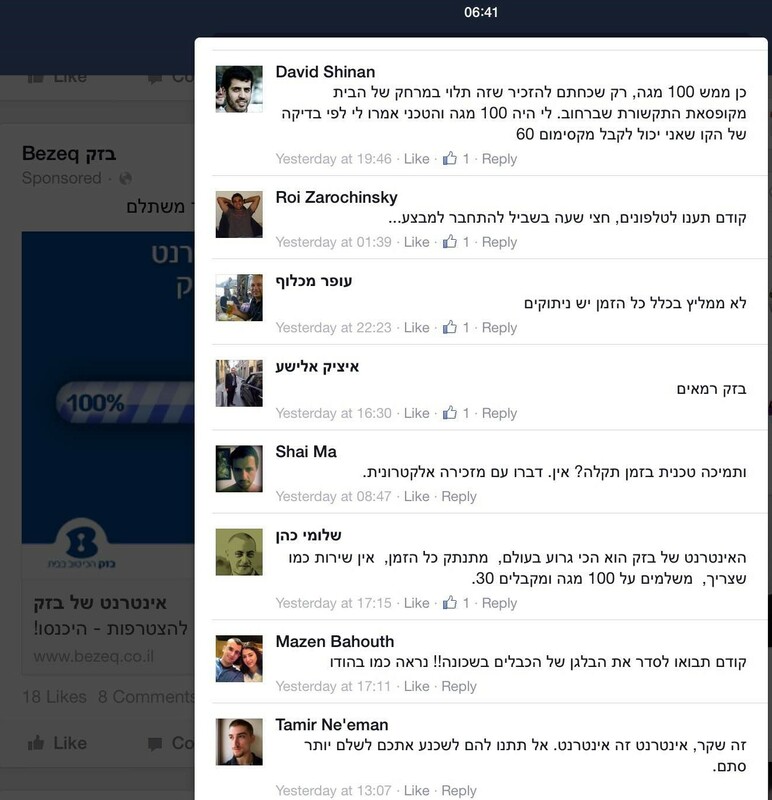 A case in point is the Israeli telecommunications company Bezeq, which ran an ad campaign on Facebook. A cleverly created and designed ad promoted a package deal to provide 100 megabytes of broadband. It compared other companies that provide only 63% in relation to its 100%. However, the company clearly didn’t bank on the negative responses from its customers that gave a list of complaints – including disputing its ‘claim’ of 100 megabytes. Some angrily wrote “First answer your telephones. Half an hour wait to claim this special offer…”; “I do not recommend this at all. There are disruptions all the time.” “Bezeq’s internet is the worst in the world” and “First come and fix up the mess of the cables in our neighborhood…” The list goes on. 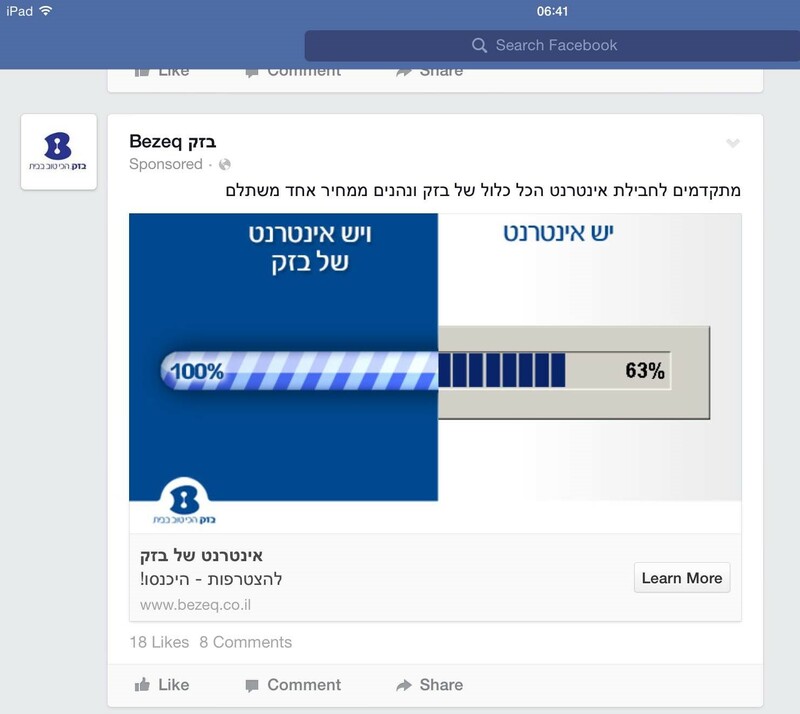 The lesson to be learned from the Bezeq campaign (and others) is to always look at the “big picture”. Launching a campaign on social media can be extremely effective – if everything else in the organization is “in sync”. Public relations starts at “the one who answers the telephone”. As seen from the Bezeq comments which were not only about the actual “deal” involved, they even included “the mess in our neighborhood”. Make sure your brand image matches the reality. Otherwise any social media campaign could not only fail, but could actually lead to more harm for the organization than good.